Few creatures in the world inspire more dread in some households, it is only referred to in hushed voices or referred to as long tails. The rat is up their with cockroaches as the last two visitors anyone would want in their homes. Long regarded as a symbol of death and pestilence Rats cause billions of pounds in damage every year, spoiling food supplies, chewing through electrical wires, infesting our homes, lofts, garages and sheds but with so many myths and facts out there we thought we would narrow it down to things you need to know before tackling an infestation. The brown rat is the UK’s most common, followed by the black rat. Brown rats can grow 19 to 28cm in length, not counting their tail. They can weigh up to 500g. The life expectancy of a wild rat is approximately 10-14 months but they can live up to three years. A female can breed five to seven times with a litter between six and 12 young at a time. Rats carry diseases :- Weil’s disease, salmonella, tuberculosis, cryptosporidiosis – a parasite-borne intestinal disease, e.coli and foot and mouth disease. leptospirosis can be caused by rats urine. They can also carry parasites and fleas. Rats are poor climbers, but very good swimmers. Rats will live anywhere that provides food, shelter and water and can be found in sewer systems and gardens as well as lofts, wall cavities and under floorboards. Rats can squeeze through small holes of up to 0.5cm and are said to be limited only by the size of their skull. It is nearly impossible to completely rat-proof your home. They can fit in through openings as small as the diameter of a quarter. According to the Mohs scale of mineral hardness, a rat’s teeth are harder than iron or steel, and are easily able to gnaw through substances like breeze block and wood. Zombie Rats also known as Toxoplasma gondii is a protozoan parasite whose life cycle can only come fully to fruition in the body of a cat. Other animals can carry it, but it needs a cat to flourish. 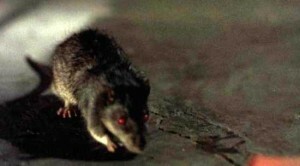 And the way it finds a host is insidious – rats who become infected suffer a change in the brain chemistry which causes them to become attracted to, rather than naturally fearful of the scent of felines.